Forests play a complex role in keeping the planet cool, one that goes far beyond the absorption of carbon dioxide, new research has found. Trees also impact climate by regulating the exchange of water and energy between the Earth's surface and the atmosphere, an important influence that should be considered as policymakers contemplate efforts to conserve forested land, said the authors of an international study that appears in the journal Nature Climate Change. "Forests play a more important role in cooling the surface in almost all regions of the Earth than was previously thought," said study co-author Kaiguang Zhao, assistant professor of environment modeling and spatial analysis at The Ohio State University. "This really affirms the value of forest conservation and protection policies in the fight against climate change," Zhao said. Until now, scientists have had an incomplete picture of how, where and when ecosystems influence climate locally. By addressing all three questions simultaneously, the researchers were able to offer new insight into how land-use decisions are shaping local climates. The researchers created a model that combined locally collected meteorological data with data from satellites and other Earth observation systems. They discovered important differences between heat exchange at the surface in forested areas compared with those areas where farming and grazing fields dominate the landscape. This allowed them to estimate the surface temperature change when switching from one type of vegetation to another, and to study the different mechanisms driving the change. 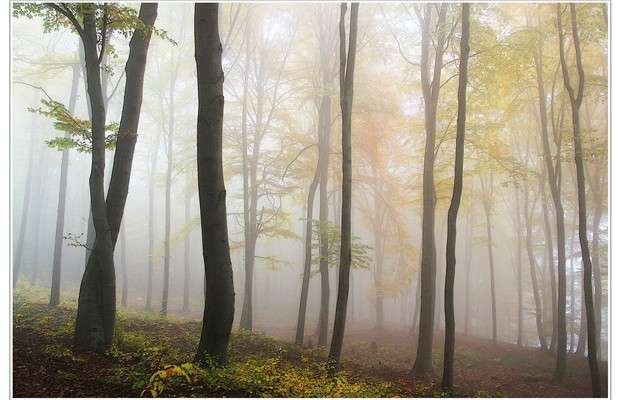 They found, unsurprisingly, that forests often contribute to an annual cooling in temperate and tropical regions and to warming in northern high-latitude areas of the world. What was enlightening was the finding that the cooling in the middle- and lower-latitude areas was nearly as strong as previous estimates using only satellite data. Researchers had thought the actual cooling would be significantly less than those estimates because they take into account only clear-sky days—not those with cloud cover. Furthermore, the study authors found that mechanisms responsible for regulating the temperature at the surface—particularly the transfer of water and heat from the land to the atmosphere by convection and evapotranspiration—were more important than previously thought. In fact, they appear to be more significant in many cases than factors related to the sun's energy. Previous work looking at forests and climate change has taken into account the role of albedo—the scientific term for sunlight that is reflected off the surface of the Earth—and found mixed messages. For example, dark evergreen forests in sunny areas draw in heat, Zhao said. In some cases, he said, they could increase local warming. The new study's lead author, Ryan Bright of the Norwegian Institute for Bioeconomy Research, said that while forests often absorb more solar radiation than grasslands or croplands, they also put more moisture into the air and promote more mixing of the air near the surface than those shorter types of vegetation. "What we are finding is that these mechanisms are often more important, even in some of the higher-latitude regions, where surface light reflection has been given more weight," Bright said. This new research highlights that these mechanisms are more important than previously understood and that they should be considered seriously when policymakers choose how to use land, he and Zhao said. "In a world facing increasing competition for land resources for food and livestock production, sensible forest protection policies will be especially critical in our efforts to mitigate climate change, particularly local warming," Bright said. "Our research could help in the identification of regions where forest protection, re-forestation or policies promoting the creation of new forests should be started or ramped up." I don't want to say I knew it, but I was certainly suspecting forest coverage and especially deforestation in tropical regions has a way greater impact than the popular CO₂ emissions mantra makes one think. But, imposing carbon taxes means more money for the governments, while banning tropical wood imports means less luxury for the people in charge.